A private garden on the edge of Cannock Chase, open to visitors by arrangement, laid out as a journey through five areas. The themes follow the spiritual exercises designed by St Ignatius of Loyola and issues about care for the environment. People often ask us how we came to create these unique gardens, and why here on the edge of Cannock Chase. We followed a vision, is the simple but obscure answer. In 1992 we had a dreadful family year, and at the end of it were exhausted and hopeless. Walking in some woods with two of our children Chris started to talk about planting some woodland with money that had been left to her. It was as if the Holy Spirit came among us and we started to burst with ideas, all round the idea of planting woodland to waken others to something of the wonder of God. 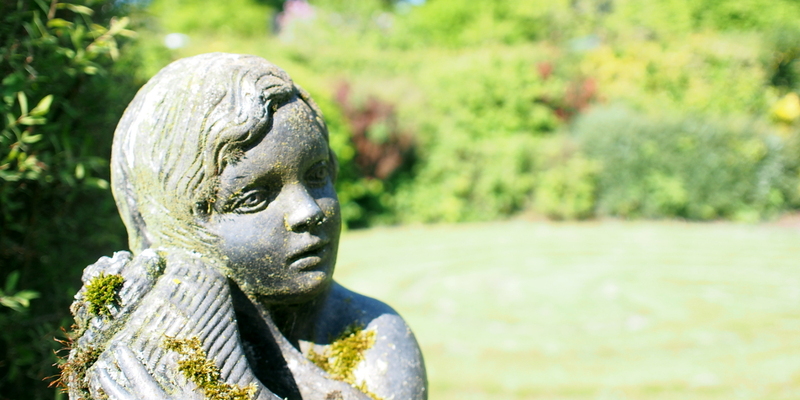 Its been a long journey since then, and the gardens, or as one person called them, a living sculpture, is what we offer. The village of Cannock Wood is not marked on all road maps, but a nearby ancient monument called "Castle Ring" usually is, on the southerly tip of Cannock Chase. If you want a general location fix, we are about half a mile due east of Castle Ring. It is also near the village of Gentleshaw, which is usually on maps.